Cisco has launched its new Hyperlocation technology, providing a demonstration at Melbourne’s Alfred Hospital – Centre for Health Innovation. Currently in beta mode, the location technology aims to provide the flow of communication to clinicians using contextual information to identify where they are, who they are with, and the activity they’ve engaged in. It’s expected to be properly launched in about a month and the technology is also being trialed among other industry verticals. Lovelock said the Alfred Hospital was the first to demonstrate this technology in a healthcare environment. It worked with partners Olinqua and ArchiTech, who maintain the infrastructure in the centre’s environment. Olinqua has been working with Cisco in the past few years in Wi-Fi technologies. “Our partners helped make this work,” Lovelock said. Cisco Hyperlocation attaches to the back of the Cisco Aironet 3700 and 3600 series wireless access points. It combines Wi-Fi and Bluetooth Low Energy (BLE) technologies to pin point beacons, inventory and personal mobile devices. It can also be integrated with other Cisco wireless solutions. For example, it can combine with Cisco Connected Mobile Experiences (CMX) that offers more precise location analytics that can help deliver more targeted content to users. When it’s combined with Cisco CleanAir frequency scanning, it can locate failed, lost and rouge BLE beacons. Hyperlocation can also be used beyond healthcare with other markets having the ability to benefit from the technology such as education where it can help students get around campus, find unoccupied study areas and get campus updates. Retailers can use it to gain a better understanding of how their customers engage in their stores. 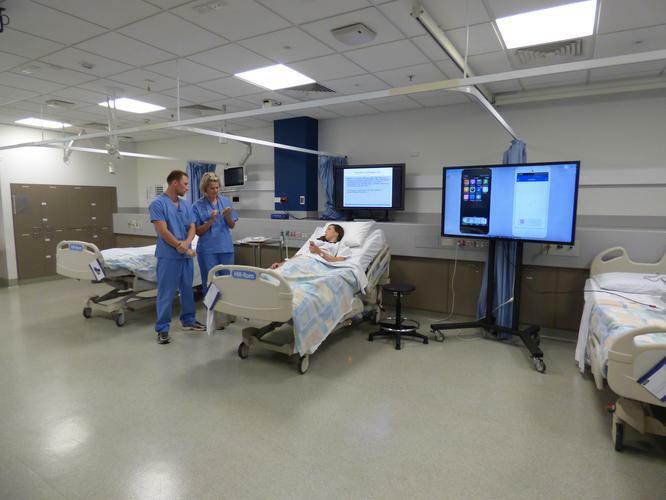 Cisco A/NZ enterprise networks director, Robert De Nicolo, said it works with a number of Australian hospitals on their digital hospital designs and new technologies are fundamental to new facilities. “It’s all about what our customers can do to deliver in a true working environment,” he said. Julia Talevski traveled to Cisco Live 2016 in Melbourne as a guest of Cisco.